NBC Struggles to Find Life in Reboot of "Dracula"
The title of the second episode of NBC's "Dracula" may be called "A Whiff of Sulfur" but the program has a different, stale odor, feeling like the product of inevitability more than creative spark. Television simply had to return to Bram Stoker's creation, right? The legendary character became a scheduled stop on the pop culture train when bloodsuckers rose to prominence again through films like "The Twilight Saga" and television shows like "True Blood" and "The Vampire Diaries." When you combine the immortal popularity of vampires with the TV trend of reimagining legends à la "Once Upon a Time" and "Grimm," a reboot of "Dracula" seems like something that the networks would have been silly to avoid. Paired with the surprisingly robust "Grimm" and presented on a night with low ratings expectations, "Dracula" is likely to find a loyal audience at the end of a long work week. Sadly, it's as creatively inspired as those low expectations suggest. It makes one long for what a forward-thinking network could have done with the same material because there's still life in the timeless character, even if this production struggles to find it. 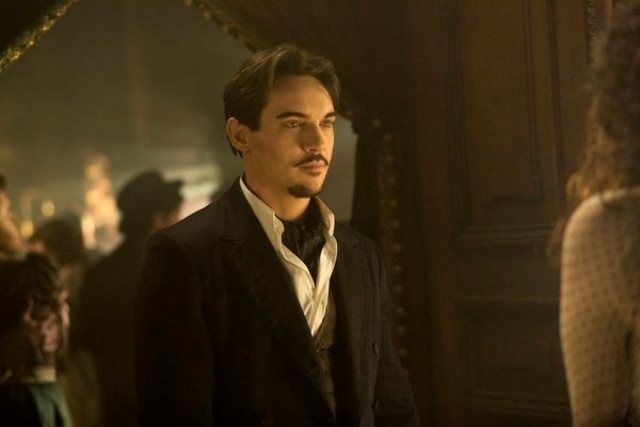 Jonathan Rhys Meyers gleefully bites his fanged teeth into the lavishly-produced scenery as the title character, taken back to some of its Bram Stoker origins although tweaked in major ways. This variation on Vlad the Impaler finds the immortal revived in the first scene, shedding his British intonation, and posing as an American entrepreneur in late 19th-century London, which allows Rhys Meyers the most fascinatingly over-the-top accent of the new year, one that will either be hilariously campy or just awful depending on how you feel about the show overall. This "businessman by day, bloodsucker by night" has multiple motives for coming to London. On one hand, he's hoping to rule the growing economy of Victorian England, bringing the new technology of electricity to the stunned locals. On the other hand, he's planning revenge against the religious order that turned him into a vampire originally. And then he runs into Mina Murray (Jessica de Gouw) and Jonathan Harker (Oliver Jackson-Cohen). The former is still the object of obsession for poor Drac, as she is in nearly every version of the legend, but she's also the reincarnated vision of Vlad's deceased wife. He becomes obsessed with her, playing power games to bring her closer to him without taking her outright. So he draws Mina's love Harker into his circle of trust, which also includes a totally-reimagined Renfield (Nonso Anonzie). Gone is the bug-eating lunatic, replaced by a physically imposing enforcer and business advisor for the Count. Renfield has been altered numerous times over the variations of the Dracula legend, often coming across as more of as an aide than an inmate, but this version is closer to a Chief of Staff than the lifeforce-eating, primal being of Stoker's take. 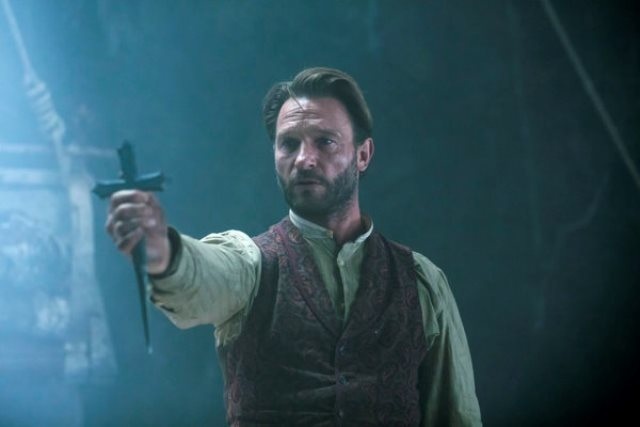 If the 2013 TV Renfield is too far afield from its origin for purists, wait until you get a hold of Abraham Van Helsing (Thomas Kretschmann, who also appears in "Dracula 3D," risking a truly bizarre typecasting). This Van Helsing holds secrets that won't be revealed here due to spoilers but to say he shares little more than a name with the history of his character would be an understatement. Lucy Westenra (a scene-stealing Katie McGrath) returns too, and Dracula is given a sexually-charged opponent in Lady Jane (Victoria Smurfit), an aristocrat with connections to the Order trying to keep the vampires at bay. Lest one think that my noting all the ways that NBC's "Dracula" differs from Bram Stoker's are criticisms, let me clarify. This "Dracula" promises in advertising that the legend will get new life and so it makes sense to expound on how the original is altered. I'm not a purist to the degree that I think it would have been wise in any way to hew directly to the source material. It wouldn't have worked week in and week out. And variations on the "Dracula" legend have proven to have a creative blood flow over the years. From Murnau's "Nosferatu" to Lugosi's 1931 version to the Hammer Films bloody fangs to Francis Ford Coppola's wildly-underrated "Bram Stoker's Dracula," there are dozens of variations on the tale of Count Dracula. He is one of the most persistently reimagined characters in the history of pop culture, an inspiration for everything from "Sesame Street" to Guy Maddin. The character has been tweaked and rebooted in so many ways over the years that it would be silly to reboot the legend without adding new fingerprints to the story. 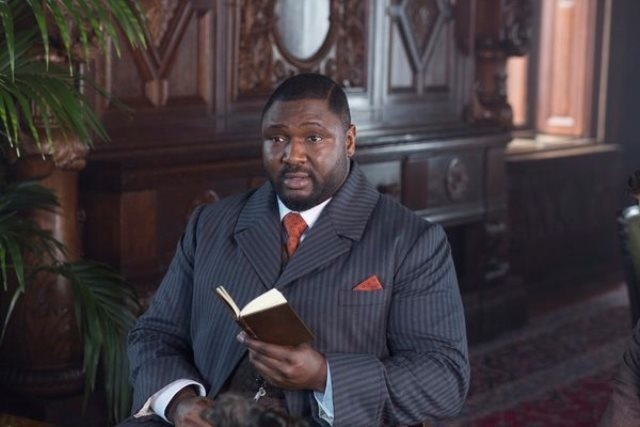 The problem with NBC's "Dracula" is that those fingerprints are awfully smudged. The biggest issue comes down to tone. Rhys Meyers, long an exaggerated performer, goes further into camp than he ever has before (as hard as that may be to believe), delivering a central turn that often seems at odds with what's going on around him. It makes sense that Dracula is a focus-stealer at parties but his delivery doesn't match with much of the supporting cast, most of whom would come off dull compared to anybody but are woefully out-acted (purely as a term of quantity, not necessarily quality) by Rhys Meyers. The few positives: McGrath, who bears a striking resemblance to Keira Knightley has a wonderful energy that makes one want to see more of her; and Kretschmann is typically strong. Despite a dull Mina and Jonathan, the cast is not the problem with "Dracula," it's the tone. The show fluctuates wildly in terms of artistic intent. 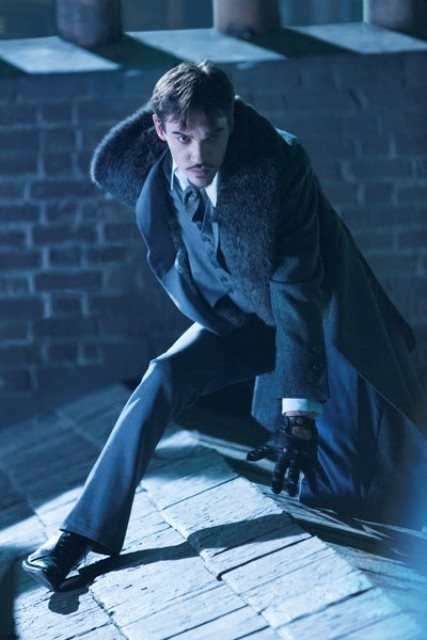 It seems to be a TV smoothie of previous versions with Rhys Meyers going Hammer, a few technical elements reminiscent of the Coppola version, and WAY too many slo-mo action scenes that are likely to bring back memories of Hugh Jackman's "Van Helsing." Over-done blue moonlight cast over scenes of acrobatic vampire action that looks closer to wire fu than Stoker ever imagined are followed by scenes of aristocratic intrigue that is likely to bore viewers into their weekend. What's the purpose of this version of "Dracula"? Why revisit the character? Is it just because they felt that they had to do so to pay homage to the icon of the recent resurgence? Just because it was an obligation for them doesn't mean you need to make it one for yourself.